Our bodies are meant to adapt to physical stressors. Once adapted, physical changes decrease or stop all together. In essence routine is the enemy. 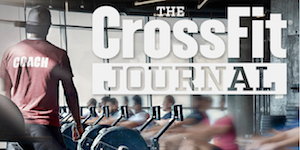 CrossFits programming is to keep the body guessing and always adapting. Our “constantly varied” protocol allows us to tackle the movements we excel at, but also test the ones that we find difficult. It is our contention that performing the movements you least desire will result in better fitness. High Intensity as defined by CrossFit is how fast you get real work done. The more work you can do in less time increases power. The more power you can do the harder it is and also yields the best results. In short, functional movements are those that mimic common activity of daily living or movements that aren’t so common like running from a rabid dog, scaling a wall from a fire or lifting a heavy rock off a trapped friend. These compound movements also yield the best results for strength, positive hormone release and overall body composition. What does “universally scalable” mean? Scalability allows us to alter the daily workouts to a member’s age, experience or athletic prowess, etc. We understand that many folks join CrossFit to get in shape and will not be able to complete the prescribed workout or movements. Using a systematic approach to scaling down, we are able to mimic what the member will see written on the whiteboard and get a great workout that will get results for that individual.